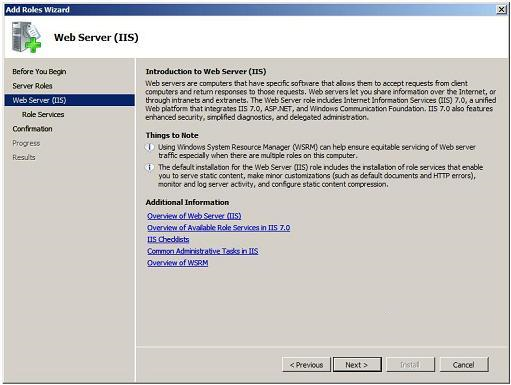 This section illustrates how to configure IIS (Internet Information Services) as a prerequisite of a production environment when running Automation Server on a .NET platform and in a Windows Server 2008 R2 (using IIS version 7.5). 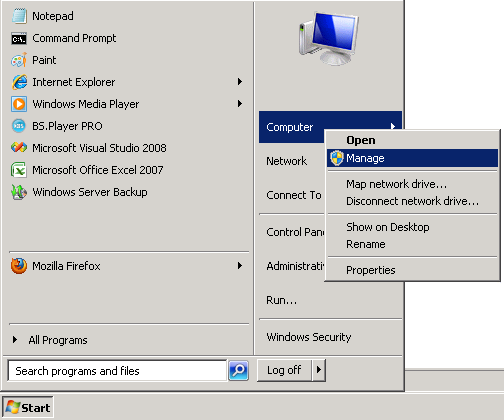 In such OS, the IIS installation is performed as a server role. 1. Go to Start\All Programs\Administrative Tools\Server Manager. You can also right-click Computer and select Manage. You must have administrator privileges for IIS installation. 2. In the Server Manager window, locate the Roles option, right-click it, and select Add Roles. You can skip this page the next time you install IIS. 3. 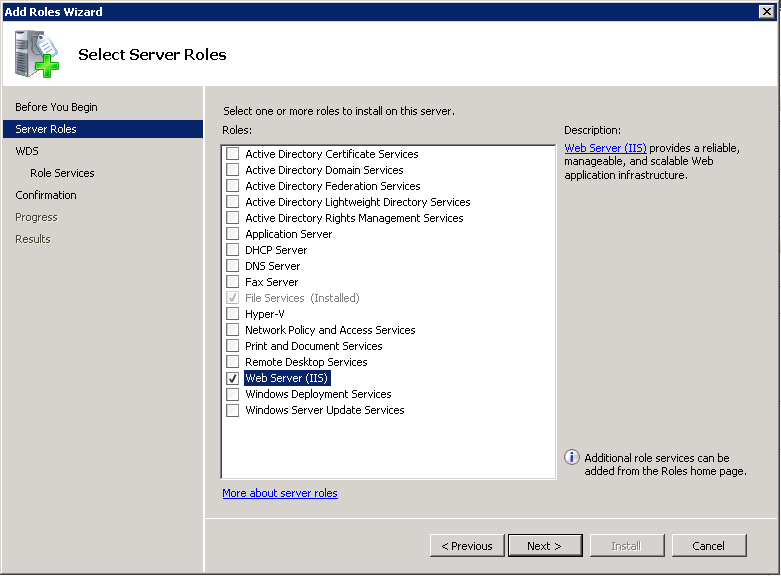 Check Web Server (IIS) so that it is selected for the installation and addition of roles required. 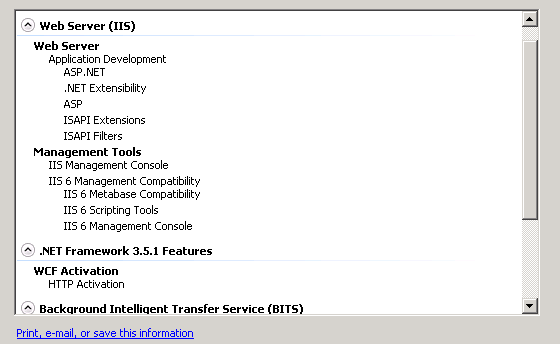 The following window shows you general information about the IIS web server. No action is required in this window. Click Next when done viewing the information. 4. 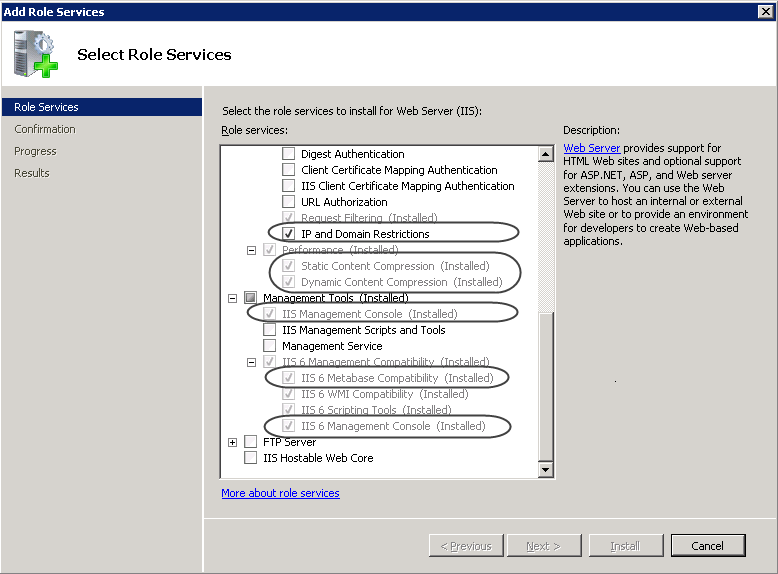 Select the role services required by Bizagi for the Web Server component (IIS). Click Next after double-checking that all required components are marked for. While marking some components, addition of some required roles may be prompted. 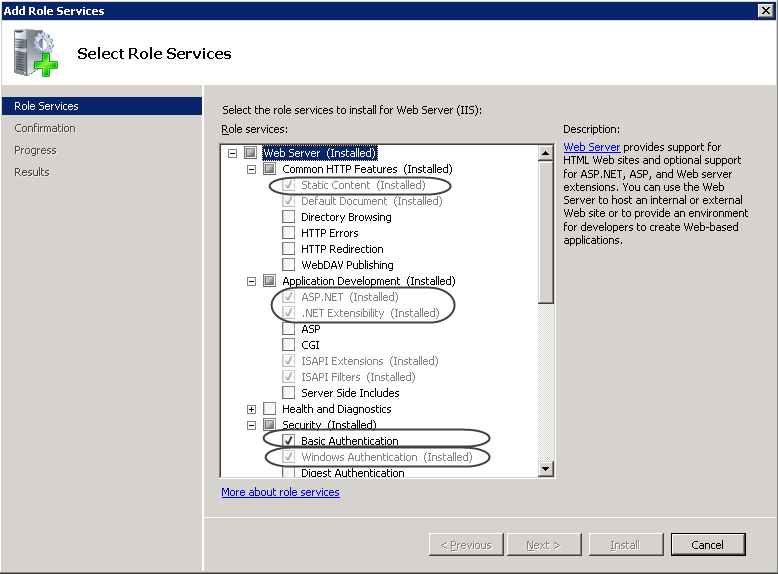 Allow the addition of the role services requirements (click Add Required Role Services). 5. 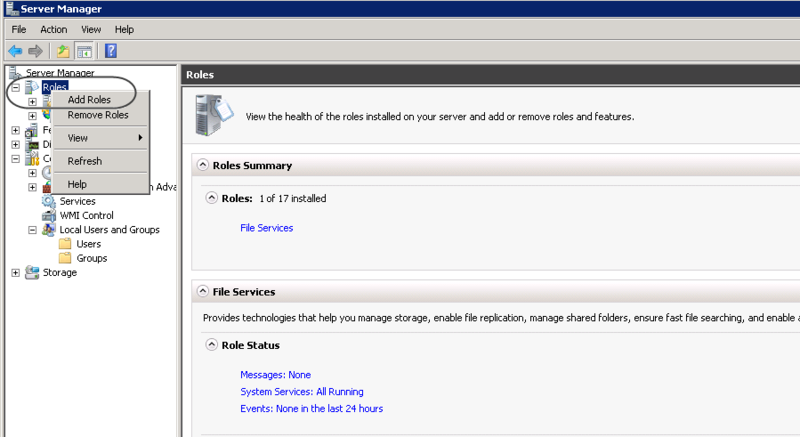 A confirmation window wil appear, showing you a summary of the role services that will be installed. Once you proceed, the installation will begin. 6. 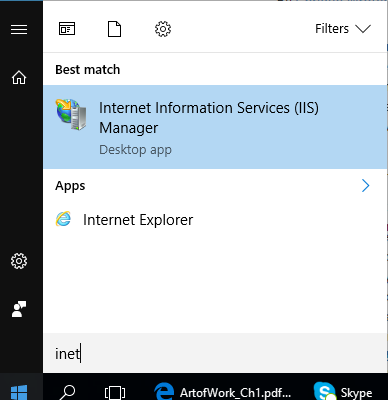 Finally, a window shows you the installed Web Server IIS and a summary of its role services. 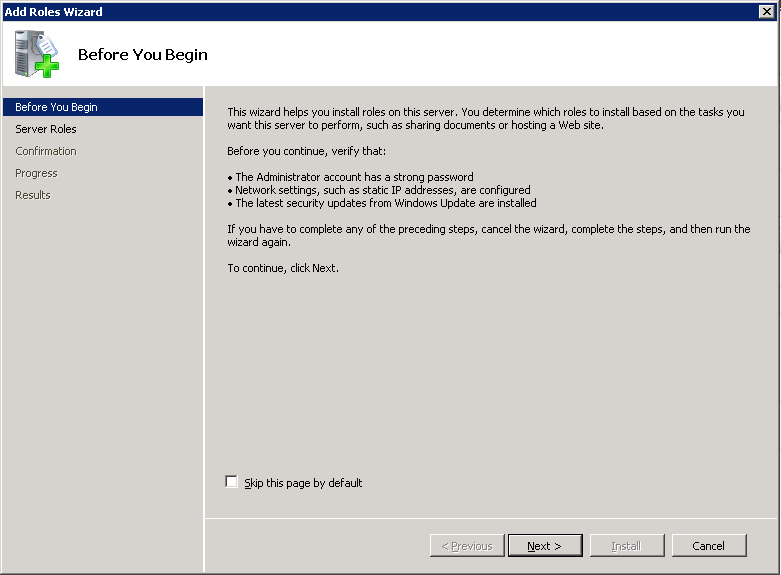 Rebooting your server may be needed so you can use of IIS and its features. 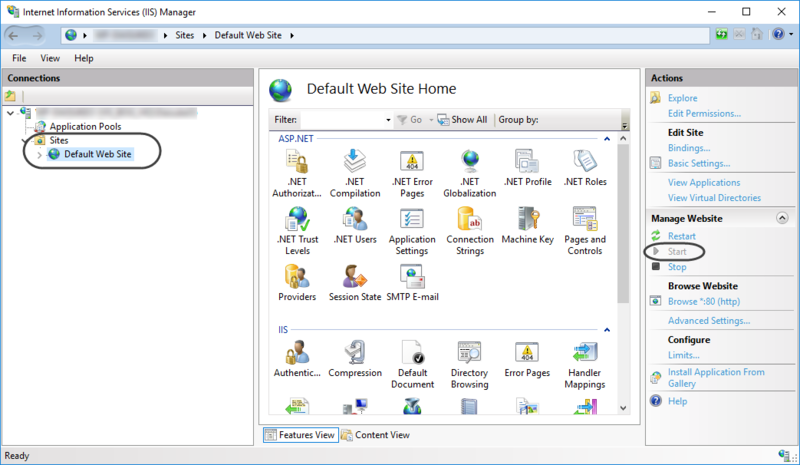 Once IIS is installed, to make sure that you can create projects, open the IIS Manager by using the inet command or by locating the Internet Information Services (IIS) Manager access from the Administrative tools folder (Control Panel -> System and Security).